A large body of evidence implicates neuroinflammation as a component of Alzheimer’s disease (AD). Basic research and clinical observations support the hypothesis that inflammation in the brain is a driver of the disease process, and pre-clinical and clinical data suggest that inflammation may be a valid drug target for intervention in AD. The Neuroinflammation Panel 1 (human) Kit consists of the following independent panels: Proinflammatory Panel 1 (human), Cytokine Panel 1 (human). Chemokine Panel 1 (human), Angiogenesis Panel 1 (human), and Vascular Injury Panel 2 (human). 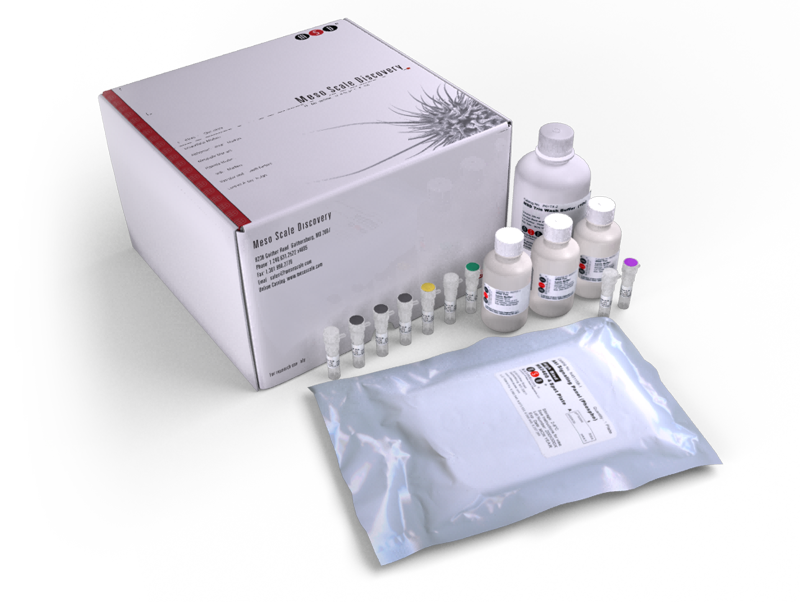 This kit provides assay-specific components for the quantitative determination of 37 biomarkers in human cerebral spinal fluid, urine, serum, plasma, and cell culture supernatants.